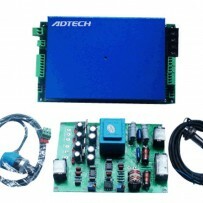 The ADT-HCA1003 Economical Type CNC Plasma Torch Height Controller is a simple ACR voltage adjusting controller of excellent quality for the price and with simple operation. DC24V±10% 5A,the voltage of XPTHC-II comprises DC24V and AC220. It is applicable to automatic control in the height of cutting torch of plasma cutting machine and is suitable for most of the plasma-types imported or made in China.